Perhaps no product logo is as well recognized world-wide as Coca Cola…commonly referred to as just “Coke.” The drink was invented in 1886 in Atlanta, GA and shortly thereafter the script writing logo “Coca Cola” was created. 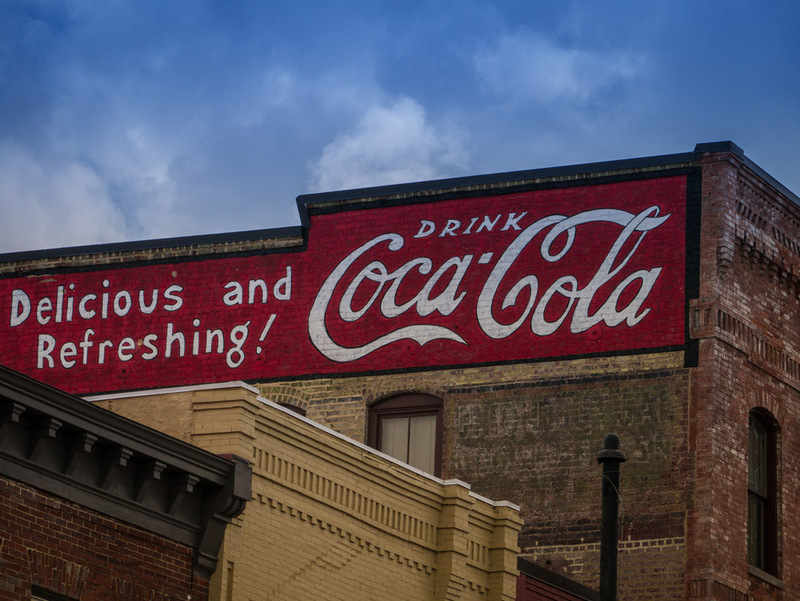 Painted Coca Cola signs on old buildings and other structures remain all over the United States today…such as the one you see here, which my camera recently captured. It has obviously been spruced up a bit with new paint. This type product building wall advertising was once very prominent especially before the days of television. History is all around us…if you will only look. as you say, “look up”. great shot. am looking for the old dispensers in rural NC.